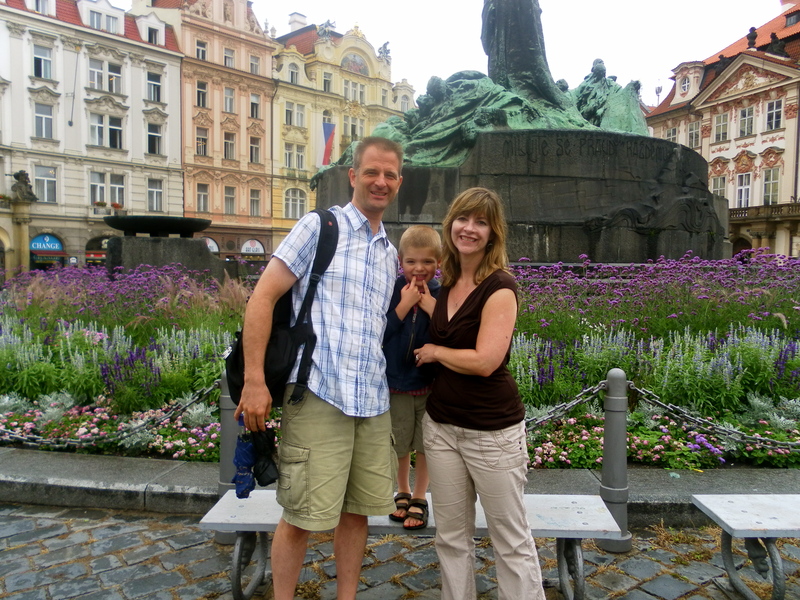 We have hosted more than 50 guests since we moved to Prague in 2011! Many more will visit us this year. 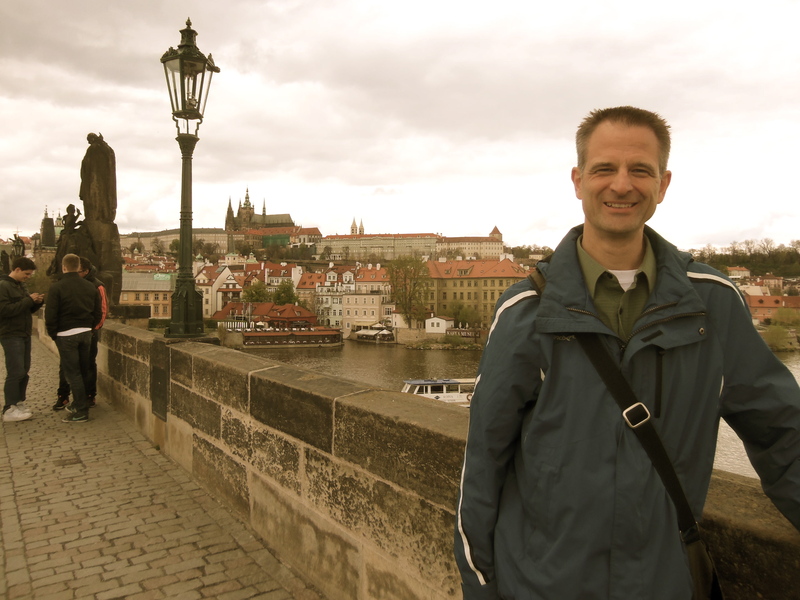 Below is my top ten list of things to see and do in Prague if you have only a short time. 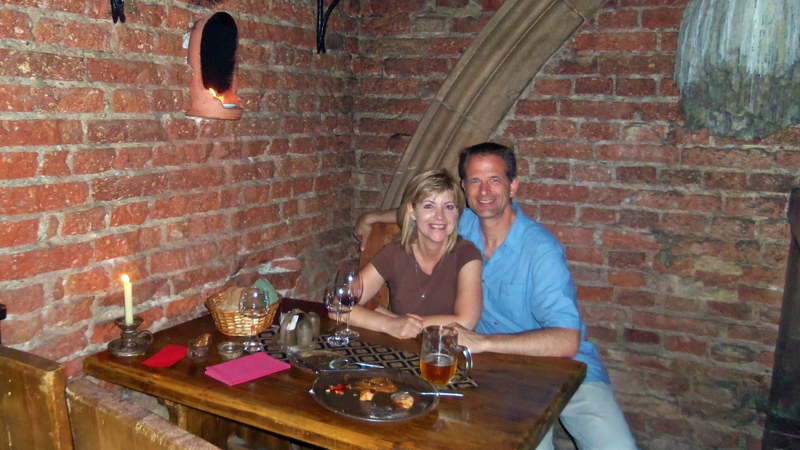 I’ve also included our favorite inexpensive restaurants (main dish for under 200 CZK ($10/8E) near the sites. Take a picnic lunch with you to the gardens. 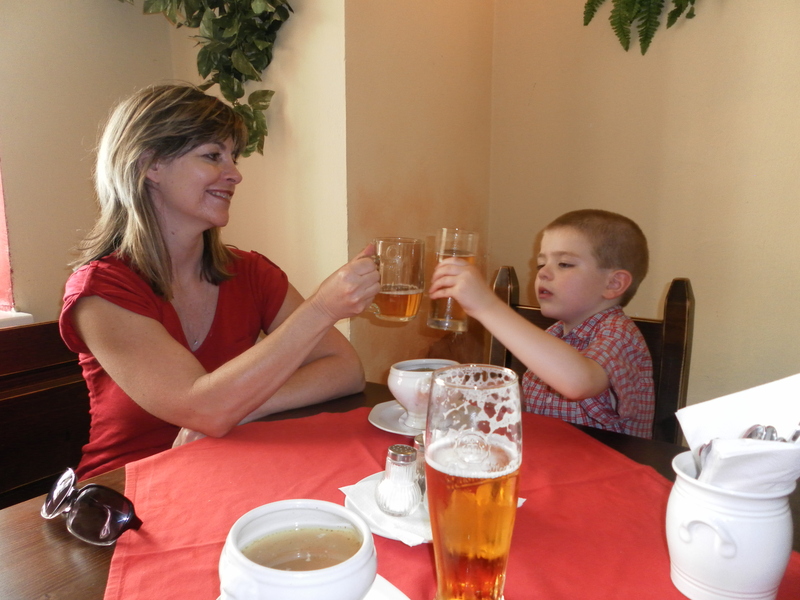 Or stop at the outdoor restaurant on the way down the hill to Malostranska. 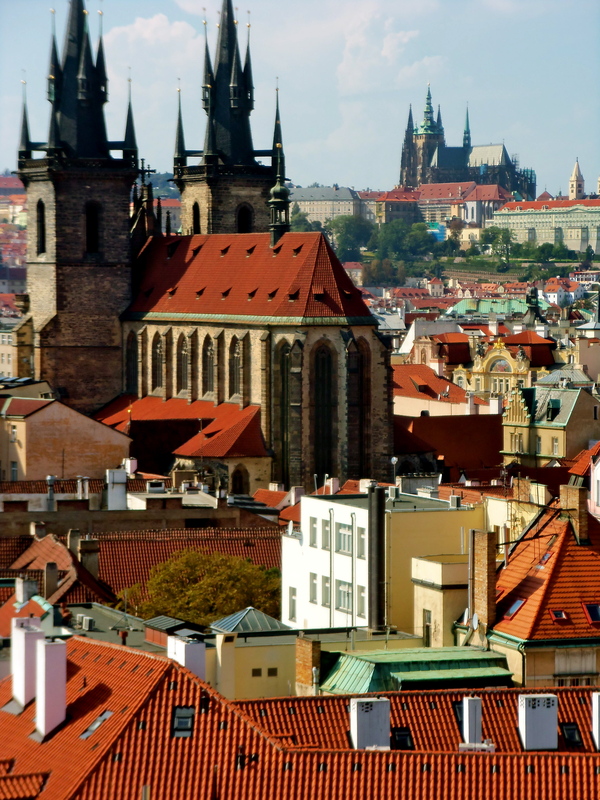 It is surrounded by an ancient vineyard and has the most spectacular views of Prague. 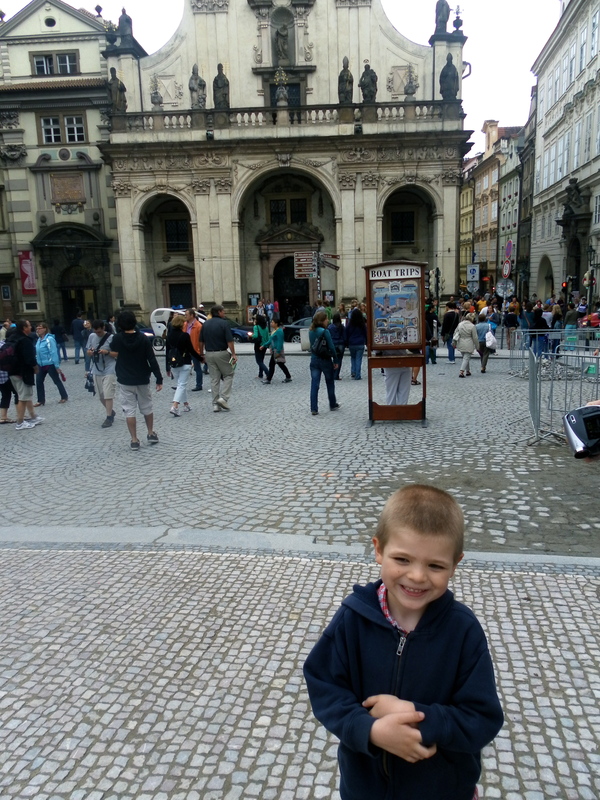 They usually advertise dessert and coffee for 99 CZK($5/4E)…other items are quite expensive. The view of the castle from the gardens. Going inside the clock tower is quite interesting. By some crepes (palacinky) from one of the food stalls in the square and enjoy the excellent people watching opportunities. Don’t eat at one of the cafes around the square unless you don’t mind paying exorbitant prices! Old Town Square in 2010. 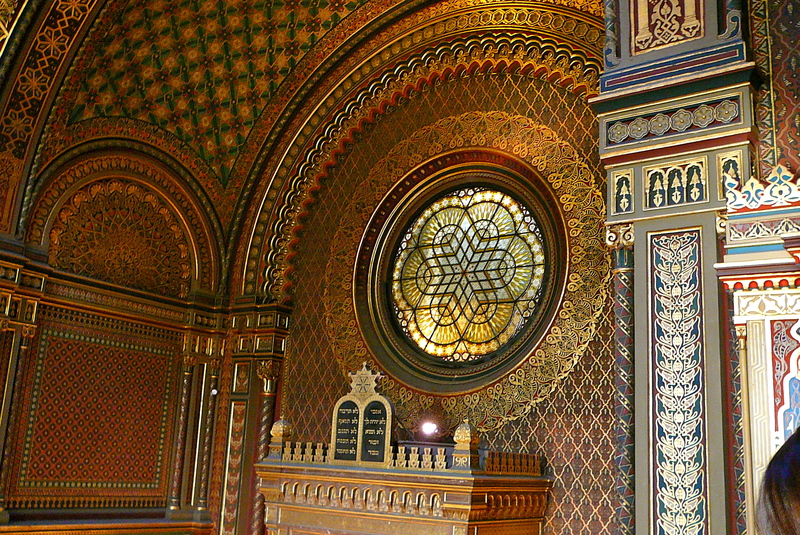 My friend took this photo in the Spanish Synagogue before we were told no photos are allowed. 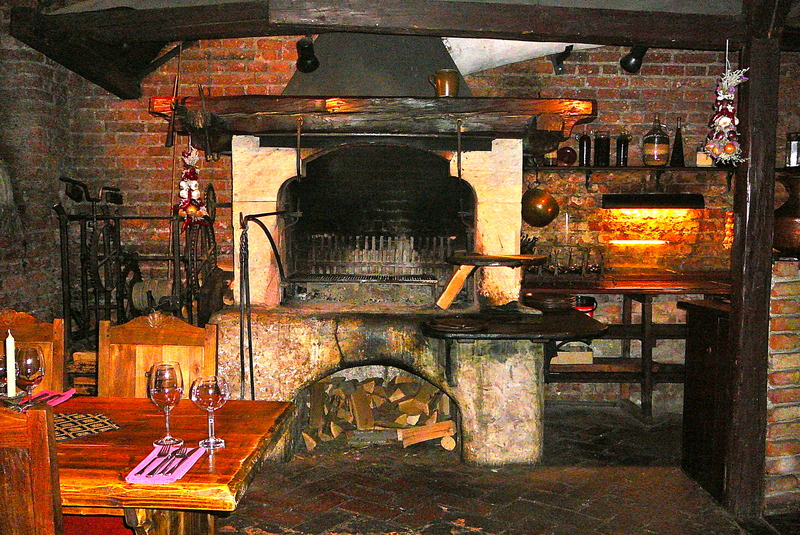 Find your way to the Cartouche restaurant for an interesting atmosphere and decor that makes you feel like you are in a tavern from the 1700’s. 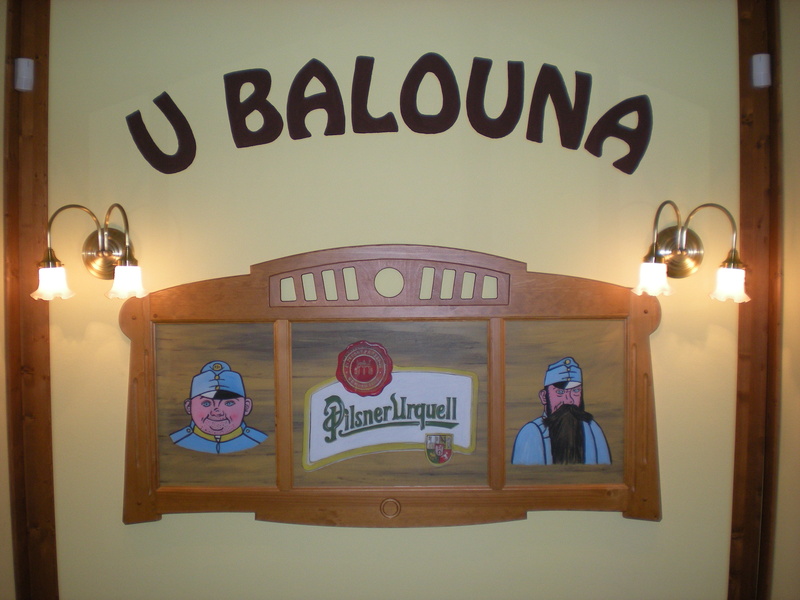 It has a pricier menu but there are a few Czech and other dishes for 199-249 CZK. 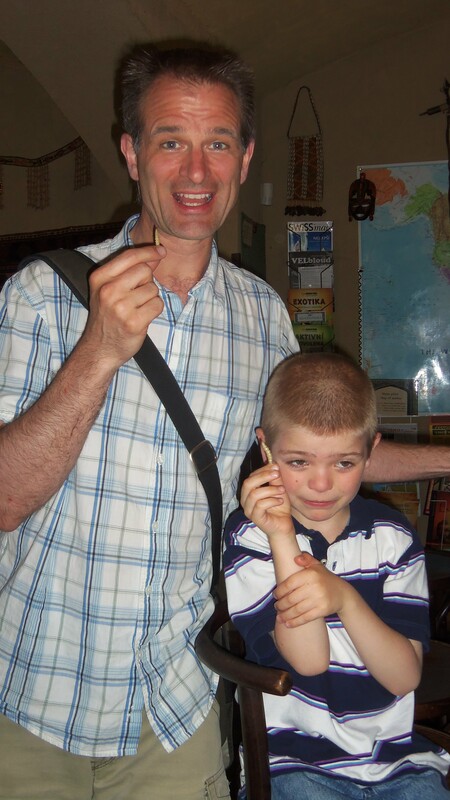 Celebrating our 10th anniversary last year! 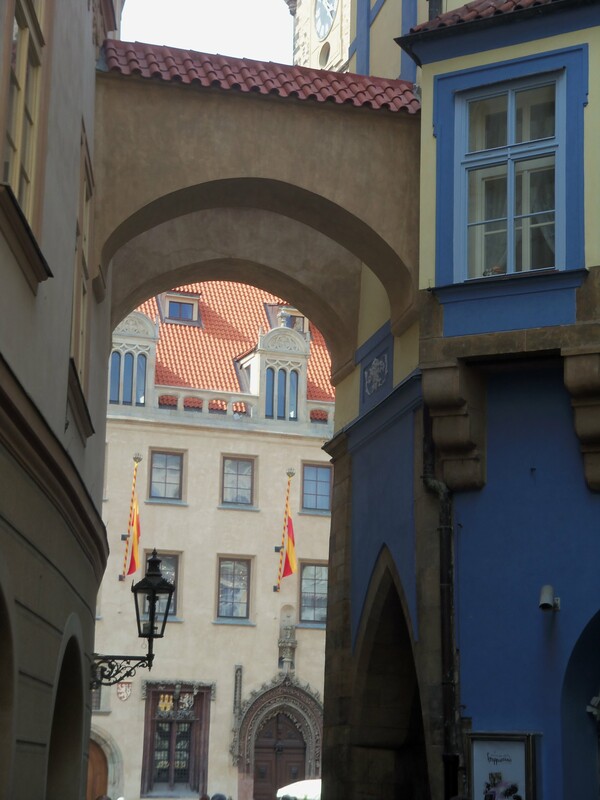 It’s a pleasant walk from Old Town Square to Wenceslas Square. This is looking towards Old Town Square. 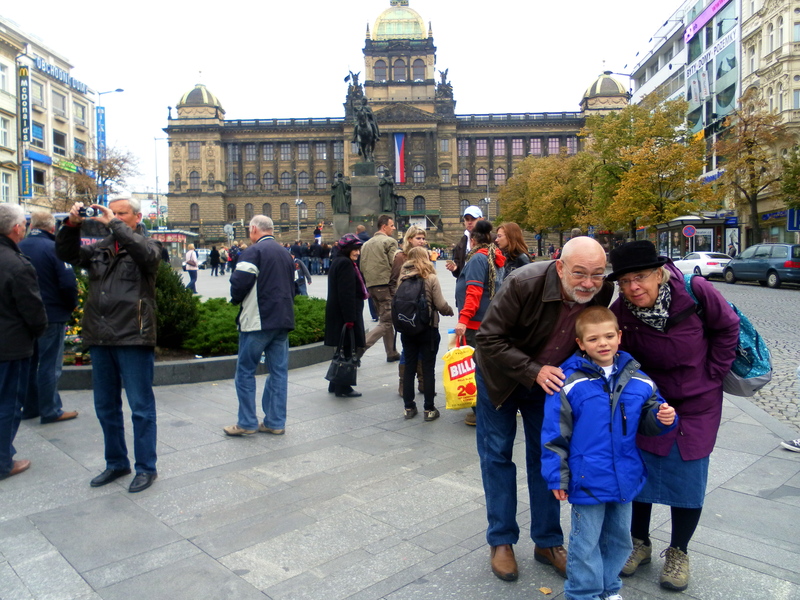 Wenceslas Square with dear friends Curt and Sandra. 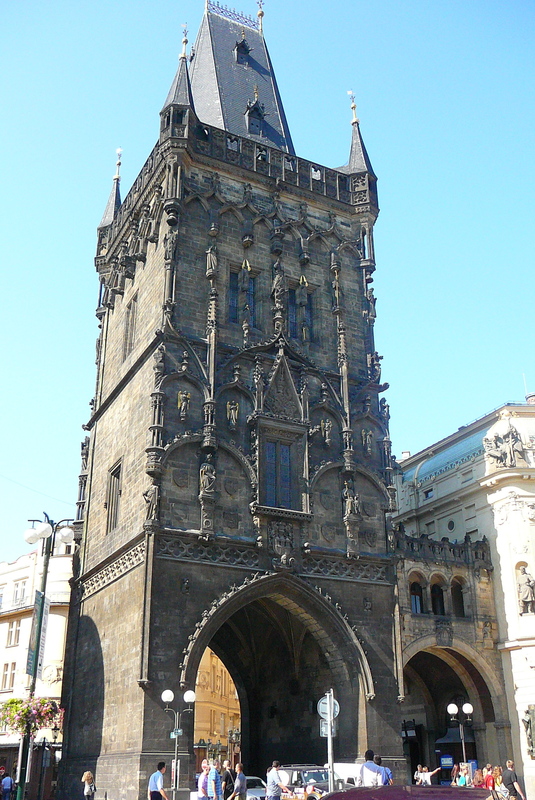 The Powder Tower and Municipal house are also a short walk away from Wenceslas Square. The Powder Tower. There’s an interesting little museum inside. This is the view from the Powder Tower. It’s a few doors down from the Thai Massage place with big tanks of water in the window, where tourists sit with their feet in the water, allegedly getting their dead skin nibbled away by the fish. I say allegedly because my friend Elsa tried it and didn’t notice a difference…but it was a great photo op! Elsa became a tourist attraction…she is in photos of other random tourists who stopped to watch! 5. Stroll along the river and rent a paddle boat. Take a walk along the river from Charles Bridge heading south. After passing another bridge (Most Legii) and the National Theater (Narodni Divadlo) you’ll see a small bridge leading to a little island (Slovanski Ostrov) which is pleasant to walk around. You can rent paddle boats from here. Our river walk in 2011. When you are ready for a meal, enjoy one of our favorite restaurants, Club Cestavalu (Caravanserai on the sign outside, a mint green building across the street from the island). The food is Arabic and Lebanese, with Indian menu choices as well. They have unusual photos of exotic places as part of their decor. They also have some free exotic snacks for the brave of heart (which I was not)! What are they holding? Why does Nate look like he is going to throw up? 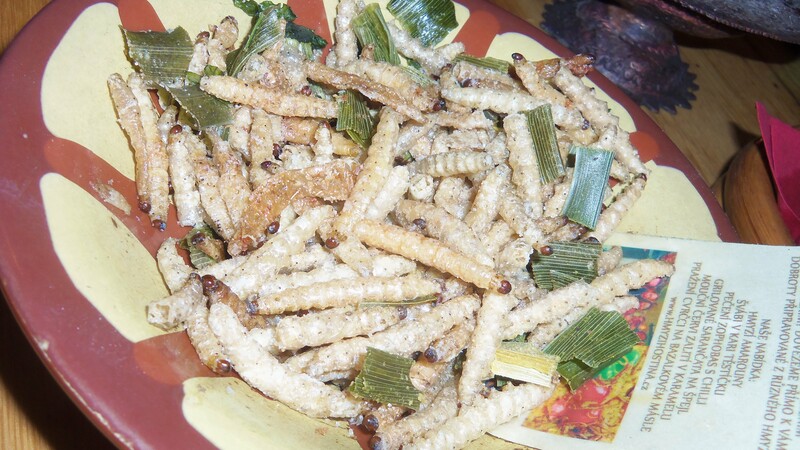 Fried grubs! Nate and Andy said they tasted like fried styrofoam! 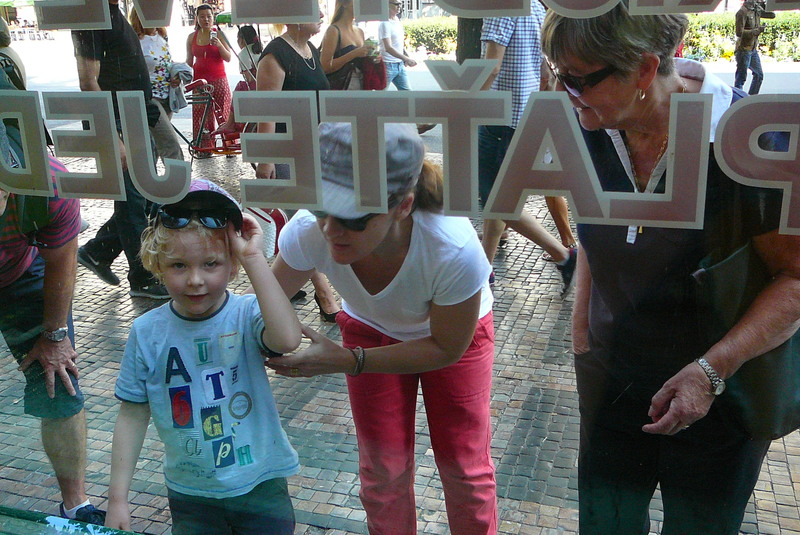 Another favorite restaurant of ours is Grosseto’s Marina. 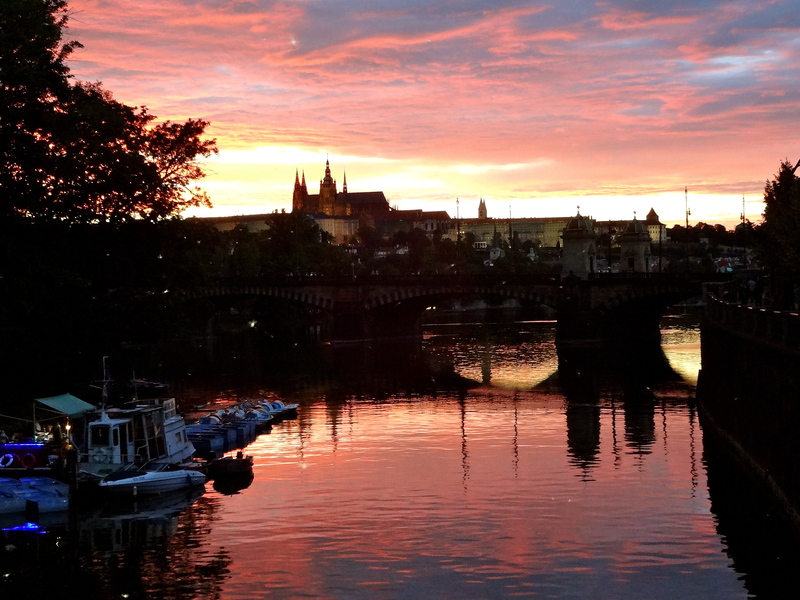 We love taking guest here because the views of the city and of Charles Bridge are spectacular, and the prices are reasonable. It looks like a boat but it isn’t. 6. 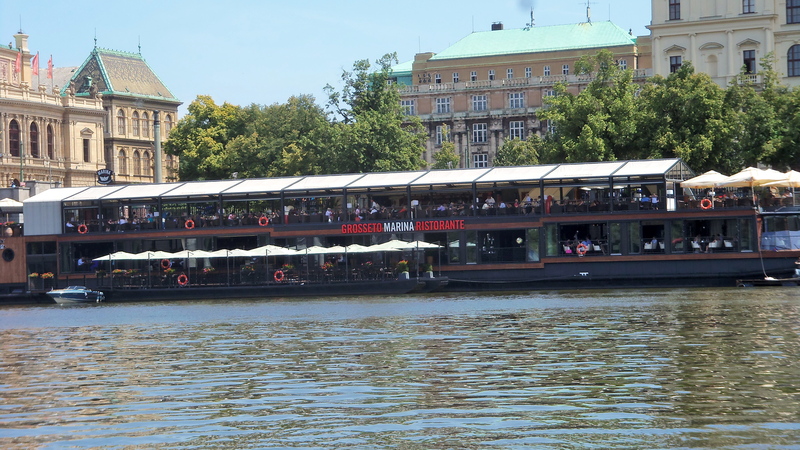 Take a boat cruise on the Vltava River. There are many different companies with a variety of cruise options, from a quick one hour spin to a several hour dinner cruise. 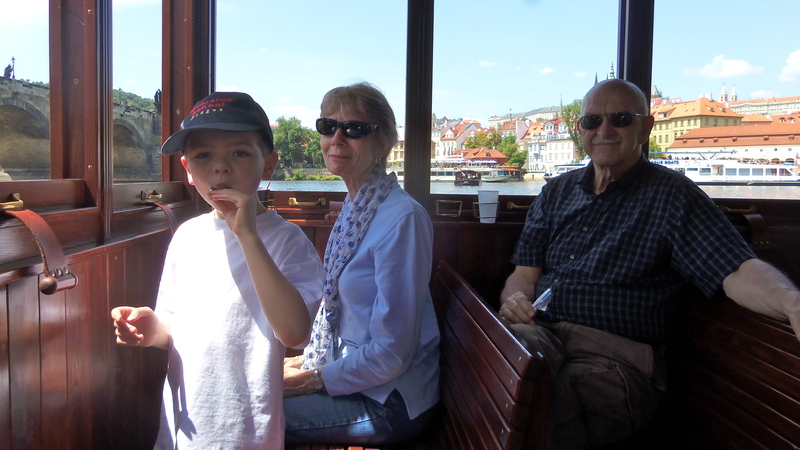 Our favorite is Prague-Venice, because it is a one hour cruise on a small boat which takes you through some hidden canals as well as along the Vltava. Currently it costs 290 CZK ($14/11E) and includes a drink and ice cream. You can buy tickets from the guys in white sailor suits at the end of Charles Bridge on the Old Town side. 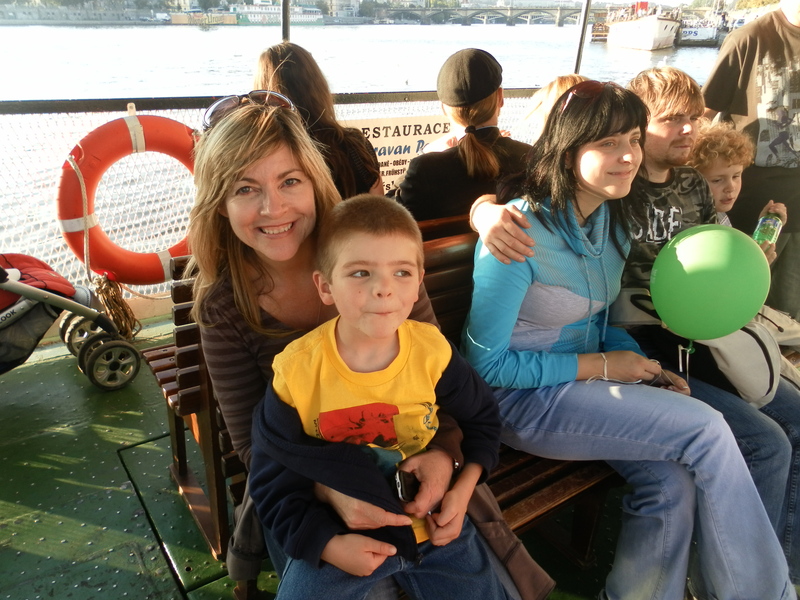 Cruise with Grandma and Grandpa, summer 2012. There are several other options. I have heard good things about the Jazz Boat. Sunset is a great time for a cruise! There’s also another cruise option, free with your transportation ticket! It’s a little boat that zigzags along the river; especially fun for kids. We found it when we were walking along the river and hopped on. The free boat (with your valid public transport pass). 7. See an opera or ballet. We have seen three operas and one ballet and have really enjoyed them…even Nate (although he looks bored in the photo below)! 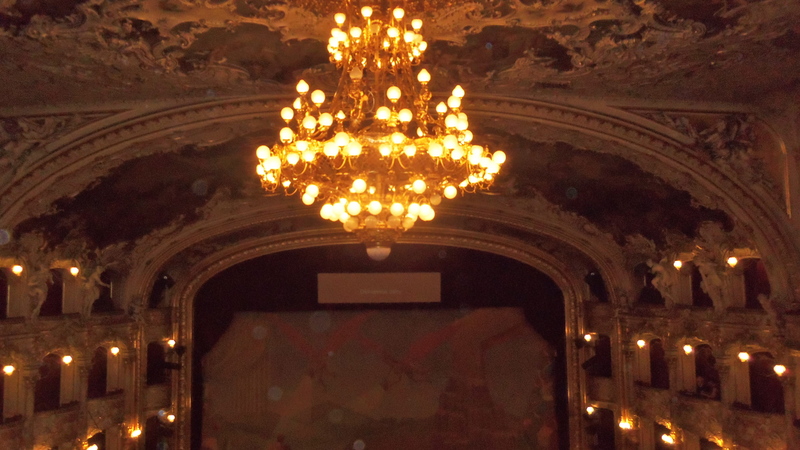 You can pay a lot of money to sit up close, or you can sit up high in the middle for 480-530 CZK ($25/20E) at the Prague State Opera. You will have a great view of the stage and orchestra, and the acoustics are great. 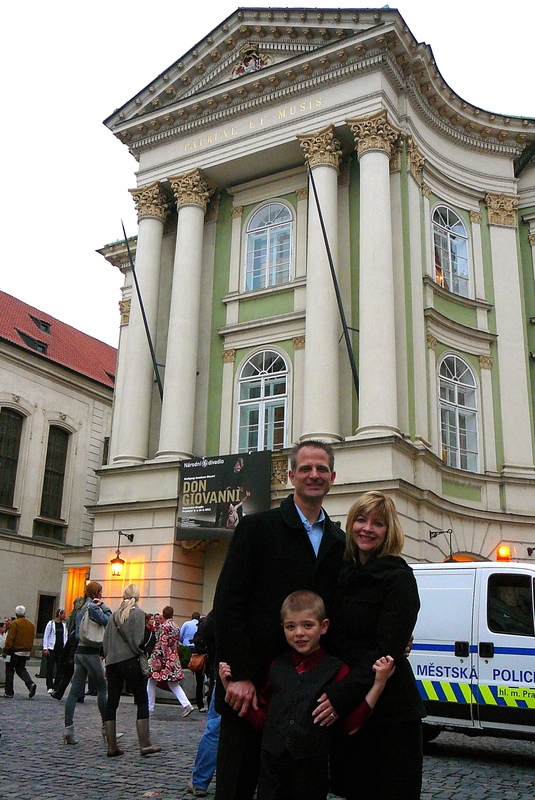 The Prague State Opera House. Buy your tickets from Bohemia Tickets. They don’t add a surcharge like other sites. You can purchase them online, or get them when you are in Prague. Go to the Mustek metro stop and follow the Na Prikope exit. The address is Na Prikope 16. If they try to tell you they don’t sell the lower price tickets, tell them a local friend told you that they are available (unless they are truly sold out, which you can verify online). In front of the Estates Theater. 8. Go to a classical music concert in one of the beautiful churches or other historic buildings like the Rudolfinum or the Municipal House. 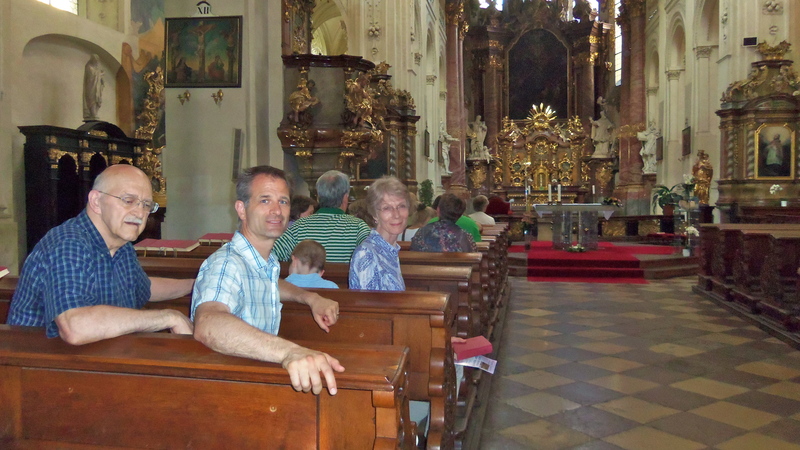 We went to one at Saint Salvatore Church and loved it! The music, acoustics, and atmosphere were outstanding. 9. 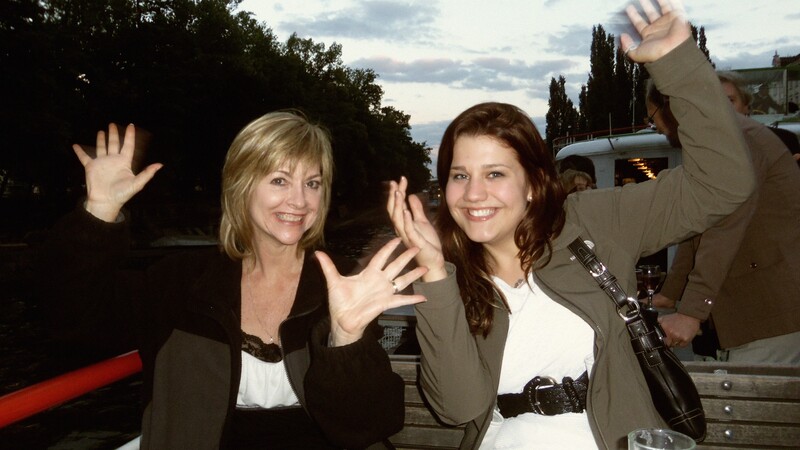 Take the funicular up to Petrin Hill. It’s free to ride the funicular with your valid transportation ticket. Take a picnic lunch and enjoy it in the gardens at the top. 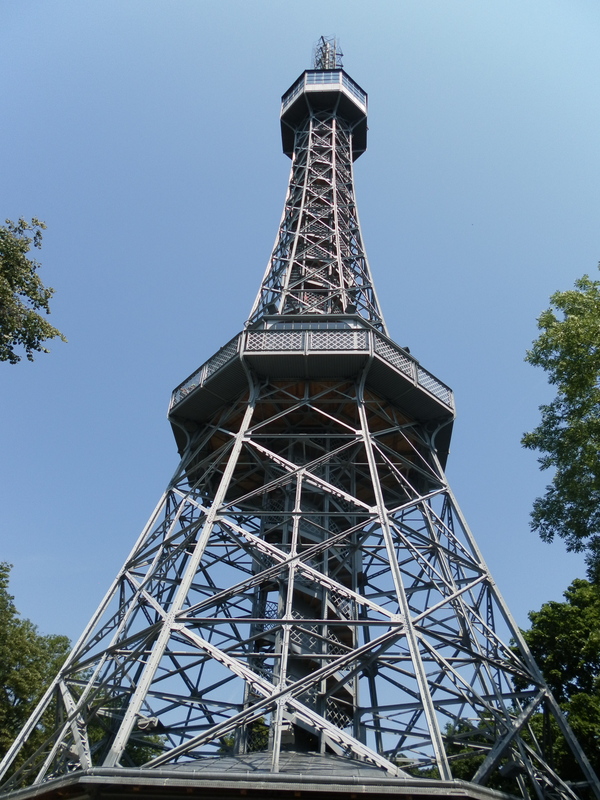 Climb the “Prague Eiffel Tower”. 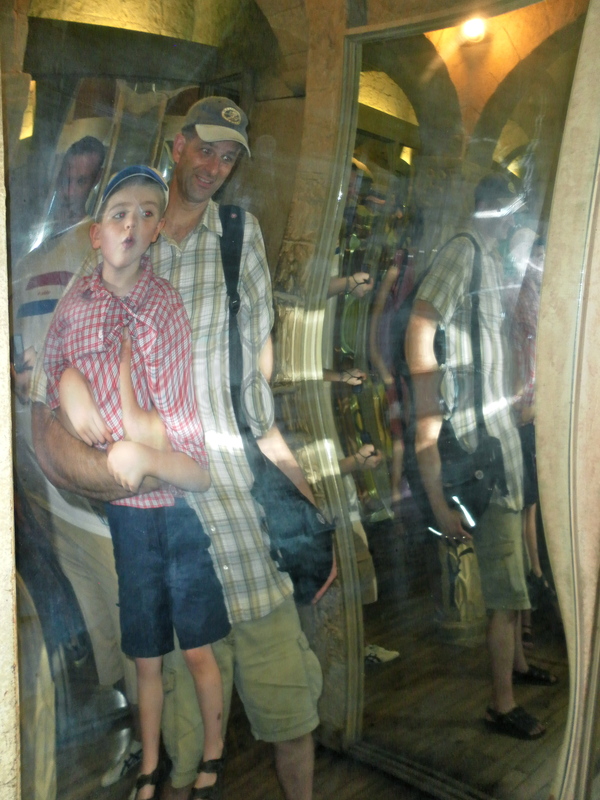 Kids–big and small–will love the mirror maze at the top. 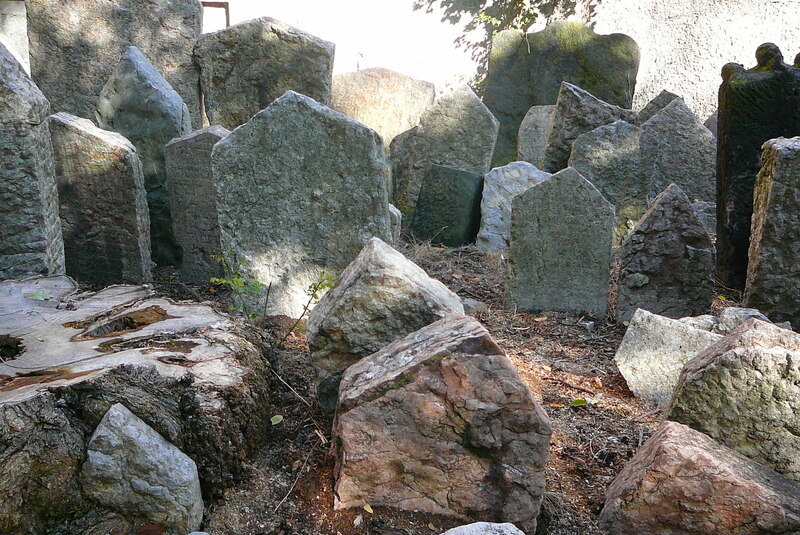 Taken in 2010. 10. 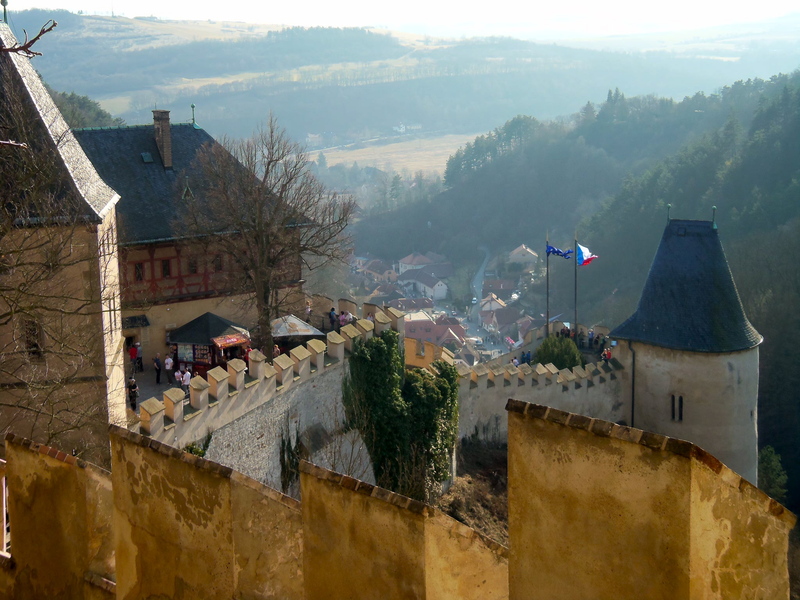 Take a day trip to Karlestejn Castle. 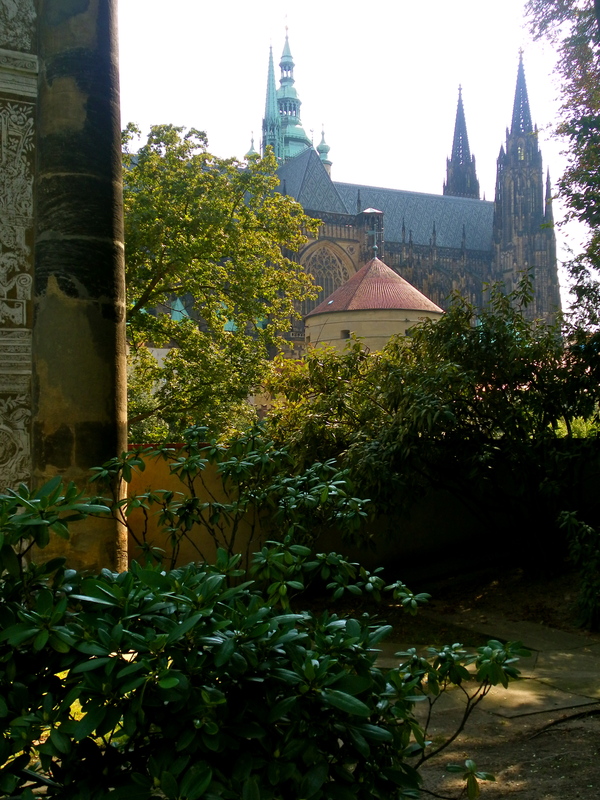 The castle was founded in 1348 by King Charles IV, Holy Roman Emperor. It is easy to get here by train from Hlavni Ndrazi. 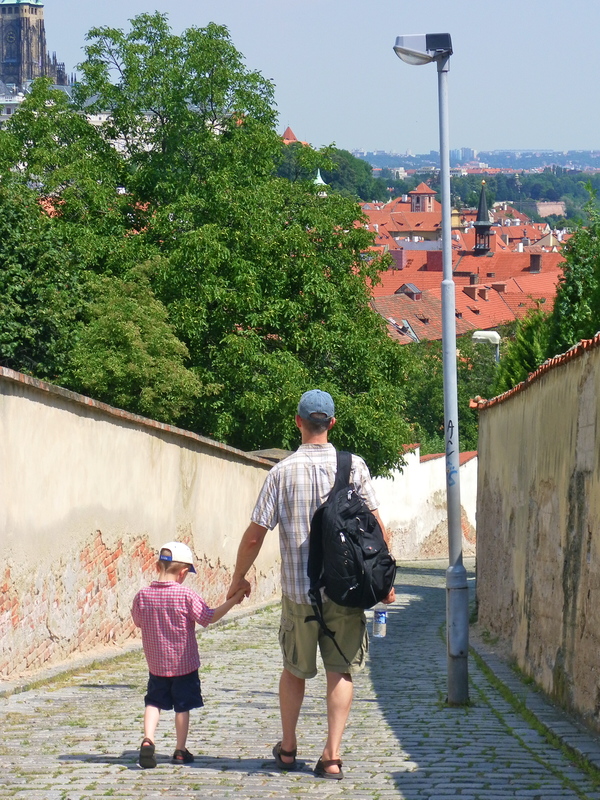 See the websites below for how to walk to the castle from the train station…it’s good exercise! The town below the castle is very picturesque, with many options for restaurants and shops. 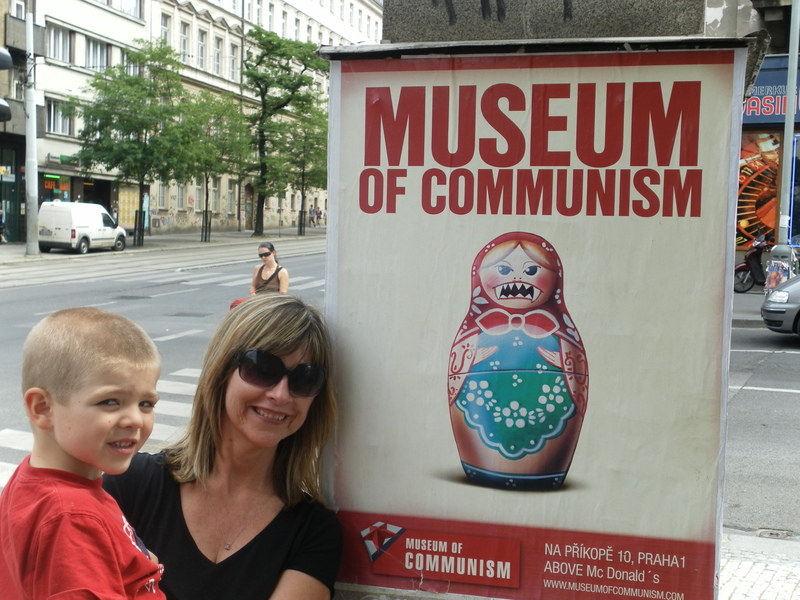 Souvenirs are cheaper here than in Prague. 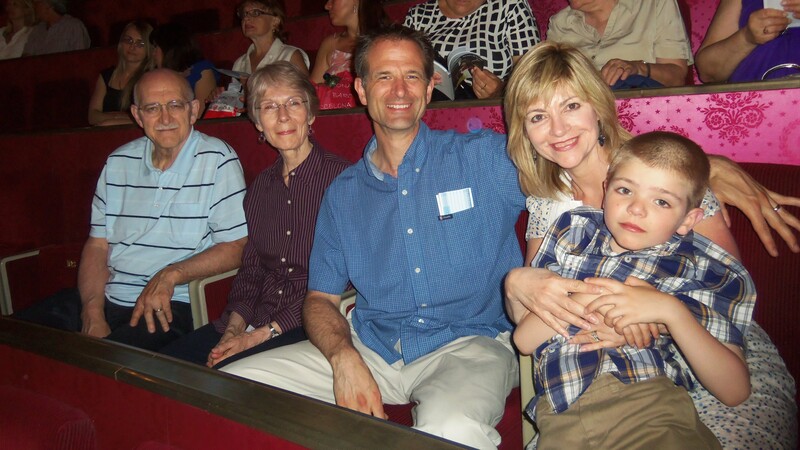 Taken with our friend Vanda in summer 2010. 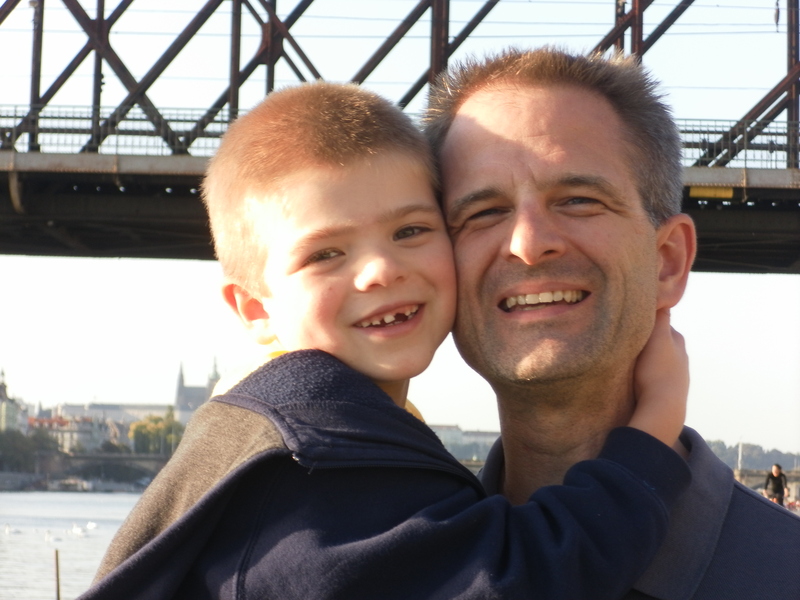 This was taken in March 2012…the views are more spectacular in spring, summer and fall. 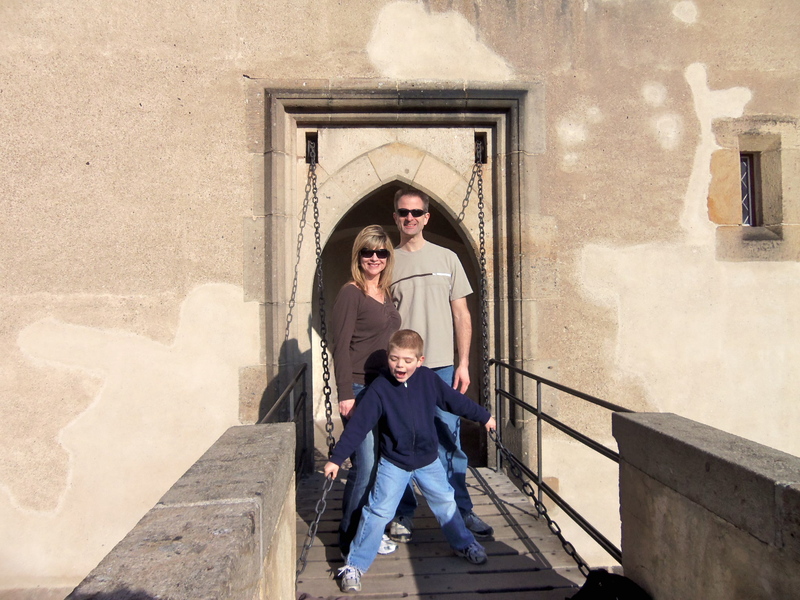 It’s pretty fun to stand on a real drawbridge! So, that’s my list! 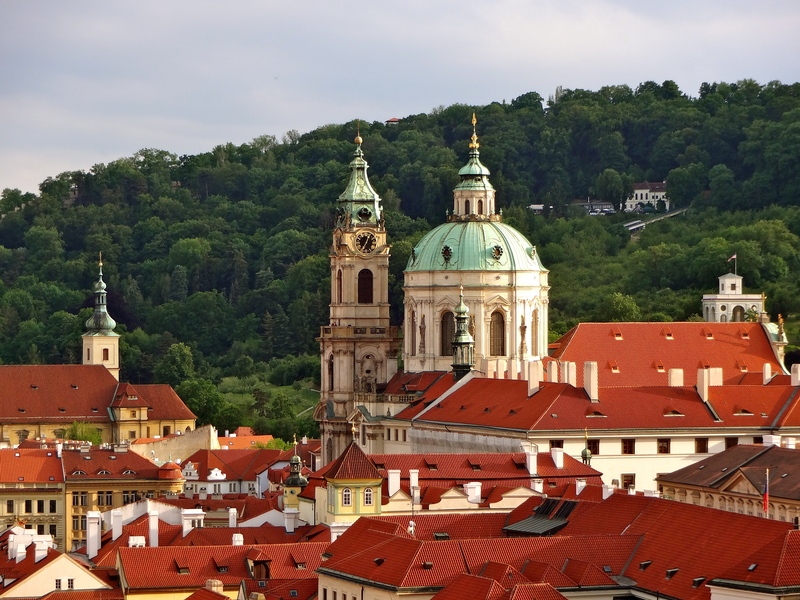 There are so many more wonderful things to see and do in Prague. I’ll get to them in a future post. Are there any other places you would count in a top ten list?